This Growhouse is ideal for taller crops (tomatoes can be grown to full height in it). 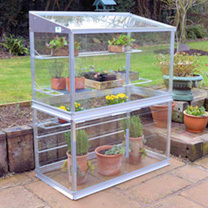 Its toughened safety glass provides superior light transmission and heat retention for faster growth. 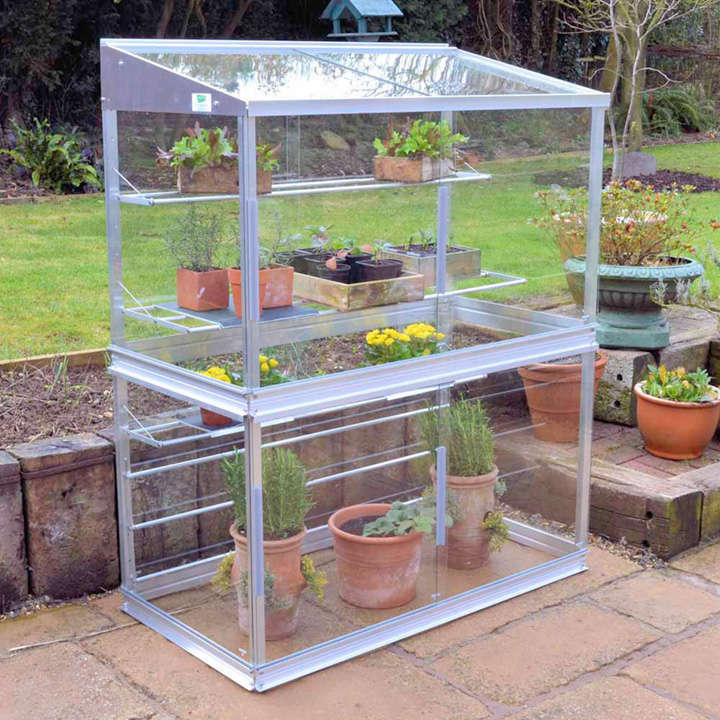 It has sliding doors for carefully controlled ventilation, and 4 adjustable seed tray shelves (holding up to 24 seed trays) which can be removed in the summer to make space. Flat packed for easy home assembly. Length: 1.21m (4'); depth: 0.65m (2'2"); height: 1.49m (4'11").